SEATTLE — The leaders behind the effort to remake Seattle Center Arena in time to host the expansion NHL Seattle franchise’s first season in 2021 are clear to call the project a new arena under a historic roof. This is no renovation. And now OVG-Seattle, the group leading the privately financed upgrade, has a fresh price tag to go with the rebuild effort: between $900 million and $930 million. 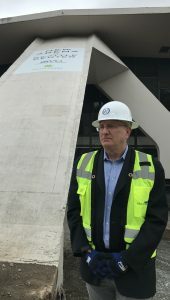 During a tour of the early demolition work inside the arena, Tod Leiweke, CEO of Seattle Hockey Partners and part of an ownership group led by David Bonderman and Jerry Bruckheimer, revealed that the OVG ownership group has finalized the cost of the project, which was originally estimated at $600 million. “The market index in Seattle is well above other markets, but we didn’t value-engineer,” Tod Leiweke said. “We didn’t cut things out. It is more money than we thought, but we realize how epic this project is. It took courage from day one. Everybody said it couldn’t be done, but if the arena was dead, what did that mean for Seattle Center?” The arena sits within the Seattle Center district, 74 acres originally developed for the 1962 World’s Fair that also includes the Space Needle. Leiweke referred to his brother Tim, OVG’s co-founder and CEO, saying, “Tim says this is the most complex project he has ever worked on in his life.” The new budget also includes a healthy contingency, Tod Leiweke said. OVG-Seattle is a division of Oak View Group. VenuesNowis part of OVG’s Media & Conferences divsion. Ken Johnsen, construction executive for OVG-Seattle, said the construction documents are now 100 percent complete and handed over to contractor Mortenson. The contract with Mortenson calls for a summer 2021 opening, with financial incentives to finish in early summer so the arena can host the WNBA’s Seattle Storm and potentially that summer’s NHL draft. CAA Icon is handling project management. The new date pushes the opening back several months. 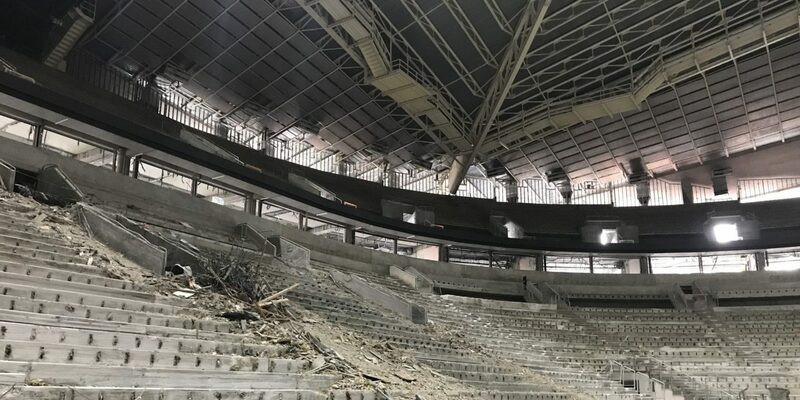 The interior of what was previously known as KeyArena has now been stripped to just concrete, prepping the venue for the major demolition portion of the project that removes the entire bowl and back-of-house, leaving just the 44 million-pound roof constructed in 1962. To keep the roof as is but create a modern arena below, Mortenson will build a temporary steel support for the roof, remove everything beneath it and then reconstruct an entire arena. The arena, which already dips 38 feet below ground, will drop another 15 feet and grow wider, nearly doubling its area to 855,000 square feet while compacting the seating bowl. The subterranean nature of the design also allows for visitors to walk down to most seats in the building, creating a more intimate feel, Johnsen said. During the excavation and demolition, which should wrap in about a year, Mortenson plans to excavate an additional 600,000 cubic yards. Along with the iconic arena roof, OVG-Seattle is removing, cataloging, storing and planning to reuse all the glass now in place on the building’s exterior. This was a requirement placed on the project by the Seattle Landmarks Preservation Board. Once crews start rebuilding the arena, they’ll plan to have 17,300 seats for hockey and create a venue equally set up for hockey, basketball and concerts, Leiweke said. 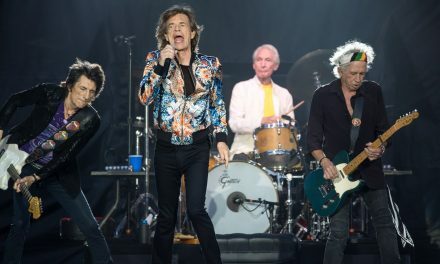 In meetings with Live Nation, Johnsen said, the group showed excitement for Seattle Center Arena’s plans to create eight underground loading docks, increased back-of-house space, locations for crew and entertainers off the stage and the ability to set up on either end of the arena or in the round. The venue also has flexible baffling inside to improve concert acoustics, and the two end zone scoreboards will rise when needed. The Populous designs feature just one ring of 40 cantilevered suites, all 10 feet closer to the floor than previously planned. The venue will include six clubs, including the Space Needle Club at one end and the Millennial Club at the other. OVG-Seattle and NHL Seattle have hired David Rockwell to help design the 200,000 square feet of premium spaces, the only portions of the design not yet complete. Rockwell founded design firm Rockwell Group, which did the premium spaces at MetLife Stadium in East Rutherford, N.J. It has a long history in areas such as theaters, hotels and set design and worked on the recently opened Shed cultural center and the Hayes Theater, both in New York City, and the Anthem in Washington, D.C.
OVG-Seattle continues to market the suites and is in the market for naming rights on the venue. “We want to make sure we have the right partnership with the right financial terms,” Leiewke said. 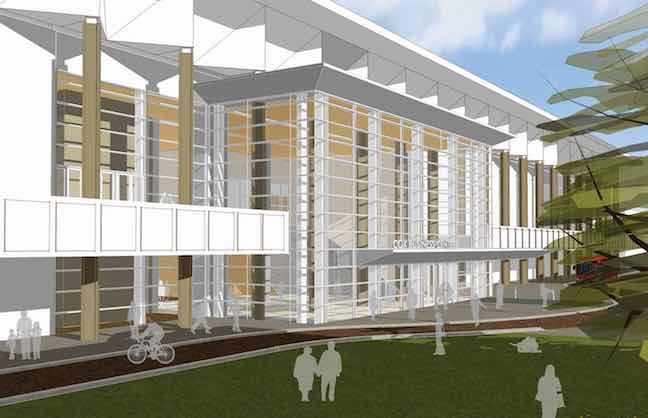 The Populous design, which also includes two skybridge-style areas on either sideline a la Madison Square Garden — one as a media center and one an affordable seating option — features an open concourse design for constant connection inside the bowl, Johnsen said.